"They're a little bit more bitter than blueberries or other berries that have those phytochemicals and a little bit crunchier," said Maya Vadiveloo, an assistant professor in the Department of Nutrition and Food Sciences at the University of Rhode Island. The vitamins and minerals they contain boost the body's digestive health and antioxidant system and promote good heart health even possibly improving blood pressure and cholesterol. In laboratory studies, they've been linked to a lower risk of certain types of cancer. 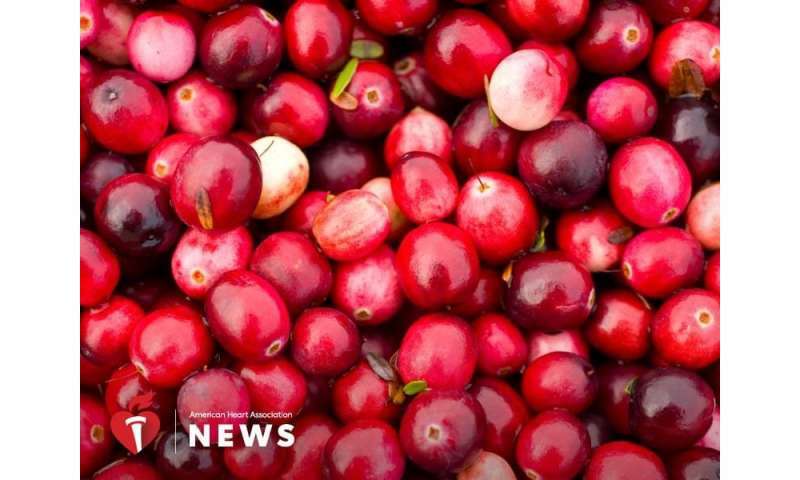 "Cranberries may be a little underutilized," Vadiveloo said. "They're not nearly as expensive as many other berries, and at Thanksgiving, the greater variety of fruits and vegetables that you have around things like stuffing, mashed potatoes, gravy if you're balancing your plate with a little bit of everything, you tend to eat less of all the things and still feel very satisfied." "If you start to think that one of the snack-size Halloween candies is 60 to 110 calories, you could have two cups of raw cranberries for that amount and feel fuller, and have a lot of the beneficial effects," Vadiveloo said.